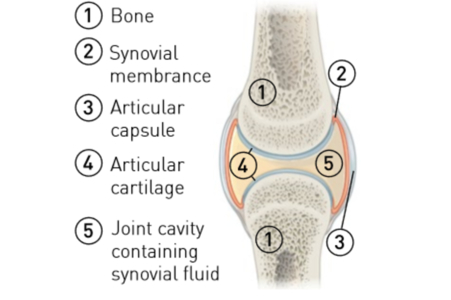 Articular cartilage is the cartilage found on the ends of bones where they come together to form joints. It is a fascinating tissue that is both strong and resilient. However, it can also be a pain—literally. Benjamin Franklin said, “An ounce of prevention is worth a pound of cure.” This is especially true for articular cartilage. Articular cartilage adapts very well, but once it is significantly damaged, it does not heal well on its own. Take care of your cartilage and it will take care of you. Consistent loading—walking, running, jumping, etc. We used to think that articular cartilage got worn out by wear and tear from exercise. We have since learned that consistent loading, like walking, running, and jumping, can be very good for articular cartilage health. For cartilage to recycle, replacing old cartilage with new cartilage—a series of complex, intricate steps—must occur. The first step in cartilage remodeling involves certain immune system repair processes. With that said, uncontrolled and prolonged activity of these repair processes can result in systemic stress that ultimately hurts the cartilage. The stress conditions can interrupt normal cartilage adaptation and weaken the tissue. Nutrition can play a major role in supporting the health of articular cartilage and preventing some systemic stress conditions. Consuming a diet rich in fruits, vegetables, and other whole foods can help avoid systemic stress and maintain articular cartilage health. Foods high in omega-3 fatty acids are also important.